WELCOME! I am excited that you and your child will be joining us this session. Please review our class policies before the first day of class and let me know if you have questions. Thank you! Itsy Bitsy Yoga classes run in sessions and full payment for the session is due prior to the start of the first class of the session. A 4-week session is $64, a 5-week session is $80 and a 6-week session is $96 (breaking down to $16 / class) for each caregiver / child pair. If you have a sibling attending the same class, their tuition is discounted by 50%. 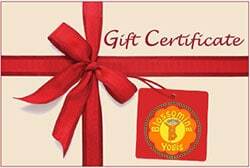 We are only able to accept cash and check made out to “Blossoming Yogis” at this time. You must be paid in full before the start of a session to be guaranteed your spot in class. 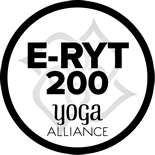 A one-time non-refundable registration / material fee of $20 will be collected by your Facilitator (in the form of cash or check made out to Blossoming Yogis) on the first day of class. In return, you will receive an Itsy Bitsy Yoga® book to help you continue to practice with your baby at home. If you are paying by check, you can pay for your registration fee and your session fee as one joint payment. If a student misses a class, we unfortunately cannot offer any class credits or refunds. If you have to miss a class, please notify your Facilitator by calling 425-681-3813 or sending an email to anna@blossomingyogis.com in advance whenever possible. If you notify your Facilitator that you won’t be able to attend a class at least 24 hours in advance of your class, it may be possible for you to make up one missed class by attending another age-appropriate class on another day of the week during the same session if space permits. You must schedule the make up class with your Facilitator in advance and make up classes can only be scheduled during the same session. Unfortunately, if you attend a Tyke class which only occurs one day per week, there are no other age-appropriate classes to attend as a make up. If the Facilitator has to miss a class for some reason, we will schedule a makeup class whenever possible. New students are admitted during the first and second class of a session if the class is not full. Fees are prorated accordingly. If you need to withdraw from an Itsy Bitsy Yoga class session, please notify us at least 72 hours prior to the first class of the session to receive a full refund. If 72 hours of notification of withdrawal is provided, you will receive a full refund less a $25 administrative fee. No refunds will be extended if notification of withdrawal is received after the start of a class session. We understand that you are on baby time! Please feel free to come to class late – even if you’re a ½ hour late. We will always welcome you with open arms! Street shoes are not permitted in the studio.. Please plan on removing your shoes and your baby’s shoes (if applicable) upon entering the studio. Be One Yoga Studio has a large locker room with cubbies – please leave shoes, jackets and other items in the locker room. Be One Yoga Studio has a no food policy in their studio spaces. Eating solid food while practicing Yoga could also be a choking hazard for your little one. Of course, you are welcome to nurse or bottle feed your baby in our practice space during class as needed. You can also bring water into the studio as long as the water is in an enclosed sippy cup and clearly labeled with your little one’s name. If you need to feed your little one a snack or a more substantive meal and you’re attending class at Be One Yoga Studio, feel free to step out into the reception area to feed your baby. Both the adult and child should be free of any symptoms of diarrhea, vomiting, conjunctivitis, rash, fever, or colored nasal discharge for a FULL 24 HOUR PERIOD prior to class. Due to the Pertussis (Whooping Cough) epidemic in our area, please also do not come to class if you or your baby have a cough. For any symptoms identified or undiagnosed, please consult with a Pediatrician prior to attending class. We hate to have anyone miss class, but hopefully we can help keep each other’s families healthy by following these guidelines. These guidelines will also help to keep your family healthy! You may change your little one’s diaper in class as needed, but please do not dispose of the dirty diaper in the studio (this is a health board regulation). Instead, please take it out with you and dispose of it outside of the studio. Crying is one of the ways kids express themselves and vocalize their needs. Should your little one begin to cry, deepen your breath and relax – no one hears your little one crying as loud as you do. Bring him or her close to you. As you relax, your little one will relax. Use your inner wisdom to do what you think your little one needs to become comfortable again. As much as we would love to meet your little one’s sibling(s), our classes are designed for special one-on-one time between the caregiver and child who is enrolled in the class. As such, please try and leave siblings at home. In the summer, we offer Little Family classes, which are designed for Tykes (2 – 4 years olds) with younger sibling which may be a great way to participate in a class together. Please refrain from bringing visitors to watch our class. As with most yoga classes, we learn through embodying the practice and supporting a non-judgmental space for new and experienced parents or caregivers – having visitors in the class could change this dynamic. Your baby will also get more out of the class when they have one caregiver sharing the yoga poses with them. If Mom has to miss class, Dad (or Nanny, Grandparent, etc) is welcome to bring your little one to class or vice versa. Itsy Bitsy Yoga is for either of the child’s parents or caregivers – remember the word yoga means to unite! 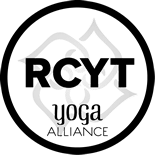 We strive to create a safe, sacred space in each Itsy Bitsy Yoga® class. Some conversations and feelings displayed in class discussions are shared in confidence. Please treat others with the same privacy, honor and respect you’d like to receive. Your safety is our biggest concern. 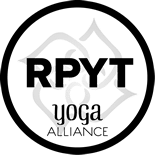 Class may be cancelled if our area is experiencing inclement weather on the day your class is scheduled, or if Be One Yoga Studio is experiencing a power outage. In the case of inclement weather, we will follow the Lake Washington School District’s school closure decisions on weekdays during the school year. On all other days, we will base our decision on current weather conditions near the studio. If class is cancelled, a message will be posted on our website (www.BlossomingYogis.com) and Facebook page (www.facebook.com/blossomingyogis.) and you will also receive an email prior to your class’s scheduled start time. Whenever possible, we will schedule a make up class.